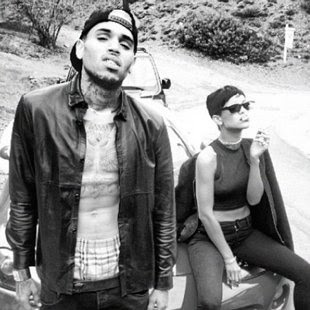 Will Rihanna and Chris Brown perform together at the Grammy Awards? Rihanna has already been confirmed as one of the stars performing at the 2013 Grammy Awards but will she be joined by Chris Brown? The pair have been on and off for the past few months but their duet on her album, Unapologetic, could be one of the songs in her set list at the awards bash. Speaking to Radar Online, a source said, "Chris doesn't care what the haters say, and wants to give the viewers an over-the-top performance with Rihanna." However, it's thought the Grammy organisers aren't as keen on the idea seeing as Chris famously assaulted Rihanna at a pre-Grammy show in 2009. But Rihanna new single cover for Stay can't help but make us wonder if the pair will actually hit the stage together.